This is rich. On Sunday, Waymo announced it inked a deal with Uber’s arch-rival Lyft to collaborate on autonomous vehicle technology. Oof. 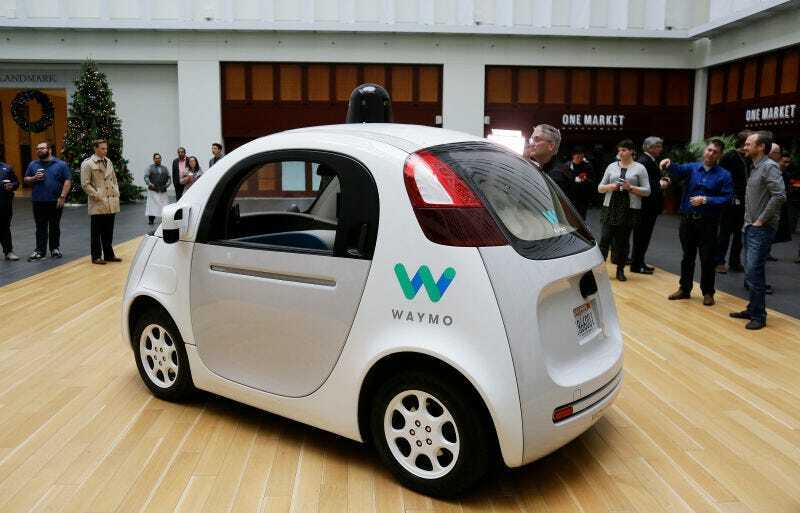 Google’s self-driving car project could potentially scuttle Uber’s autonomous driving ambitions for months. If Waymo prevails in that effort, it could be the coup de grâce for Uber. “Lyft’s vision and commitment to improving the way cities move will help Waymo’s self-driving technology reach more people, in more places,” a Waymo spokesperson told The New York Times, which first reported the news, in a statement. But Uber has been dealing with a never-ending stream of bad publicity, thanks to a series of mishaps—from an uproar over its misogynistic workplace culture, a video of its CEO berating an Uber driver, to the alleged trade secrets theft at the center of the case against Waymo. And if Waymo succeeds in an effort to prevent Uber’s self-driving program from continuing research while the case proceeds to trial—a decision that could be revealed as early as today—then this announcement with Lyft could prove far-more interesting. Lyft is second in the ride-hailing market, with significantly less valuation than Uber and a smaller network of where it operates. But the prevailing thought among autonomous vehicle backers is that ride-hailing will be dominated by robot cars in the coming years. Ford said it wants to roll out fully-autonomous cars for ride-hailing purposes by the start of next decade and Waymo is already testing semi-autonomous vehicles through a partnership with FCA. Lyft hasn’t indicated it has plans to develop autonomous driving tech on its own, but the start-up already has a separate, similar deal through a $500 million investment from General Motors, which stipulates that Lyft will test autonomous Chevy Bolts on its network within the next few years. The deal with Waymo is a non-exclusive agreement, according to the Financial Times, meaning both sides are free to continue their other partnerships (Waymo, for instance, with FCA). All together, it makes the goal of seeing fully-autonomous cars on the road, picking up passengers by 2021, seem more attainable. Given that Uber’s CEO Travis Kalanick believes self-driving cars are “existential” to his company’s existence, this can’t be an enjoyable day for him.